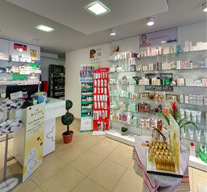 Llado pharmacy is located in the Fenals neighborhood of Lloret de Mar next to the Galp gas station on Avinguda Passapera 23. We are at the entrance of Lloret de Mar coming from Blanes almost on the main road that connects Blanes, Lloret de Mar and Tossa de Mar. 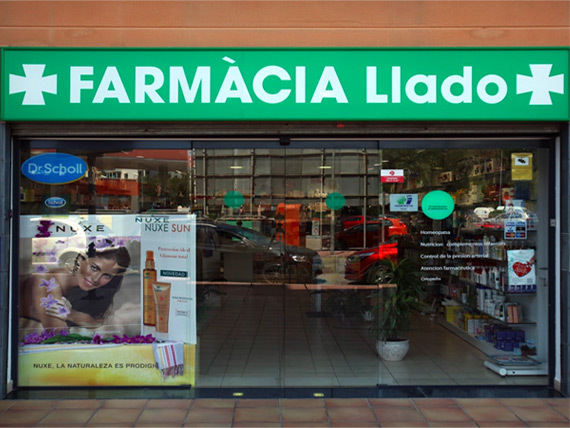 The Llado pharmacy is located in the well-known town of Lloret de Mar, an icon of the beautiful Costa Brava where thousands of tourists from all over the world come to spend their holidays every year. Located 5 minutes from Fenals beach and 10 minutes from the beautiful Cala sa Boadella make it a strategic point for all visitors to Lloret de Mar. 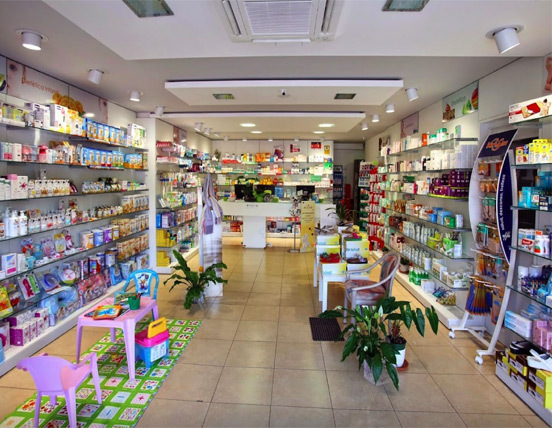 Many of our customers visit us from neighboring towns such as Tossa de Mar, Vidreres or Canyelles neighborhood for our pharmaceutical advice, our exclusive brands of cosmetics, homeopathy, herbal medicine and easy access to our establishment. We are also 2 minutes by car from the regional hospital in Blanes, which receives the largest number of emergency cases of the South Costa Brava. We have a team of health professionals who are always available to help and solve their problems with which you can communicate in Spanish, Catalan, English, French and German. We specialize in the most common symptoms that can occur on holidays since all our team has a great training and experience in the field. Every day we advise and help people with sunburn, ear pain or otitis, mild food poisoning, diarrhea, vomiting, bumps or falls, headache, cough, fever, conjunctivitis, tattoo treatment, mosquito bites, insect bites and dozens more common symptoms that can occur while on vacation. 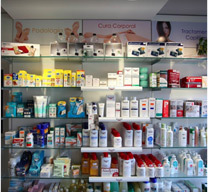 As services, we offer blood pressure control, weight control, integral pharmaceutical advice, advice in homeopathy, advice in probiotics or cosmetic advice. 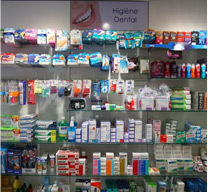 We also offer the purchase of Durex condoms thanks to the dispenser located on the facade of the pharmacy which is operational 24 hours a day, every day of the year. 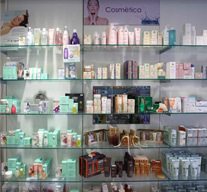 We offer a wide range of pharmacy cosmetic products counting on great brands such as Darphin, Nuxe, Caudalie, Avene and Phyto that are a guarantee of quality and efficiency. In terms of infant and childcare, we offer to our customers the best brands of infant milk, baby food, baby dishes, baby bottles and everything necessary for baby care, with Novalac, Blemil, Nutriben, Suavinex or Mam.